Brushed and polished brass with brackets and end caps in a variety of lengths. 2 inch diameter. Heavy 16 gauge, 0.065" thick solid brass rail. 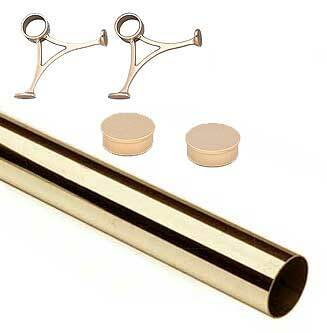 These are heavy gauge (lighter gauge available) and are solid brass (not plated). Kits include end caps and brackets.